The idea proposed on this site that artists often fuse their own facial features with those of their sitters is entirely novel as an overall claim about art. However, two scholars have argued something similar about Degas in the past. Luzius Keller wrote that “Degas’s portraits can often be recognized as his, not just by their stylistic and thematic features, but often by the nature of the facial features too. Degas seems to have developed an ideal model whose features he subsequently transfers onto other faces when painting portraits of himself and his family.”1 And Felix Baumann remarked in the same book that Degas might have overlaid his own features with those of a face painted by Pinturricchio.2 Here, though, we take a look at Degas' etched portrait of Edouard Manet. 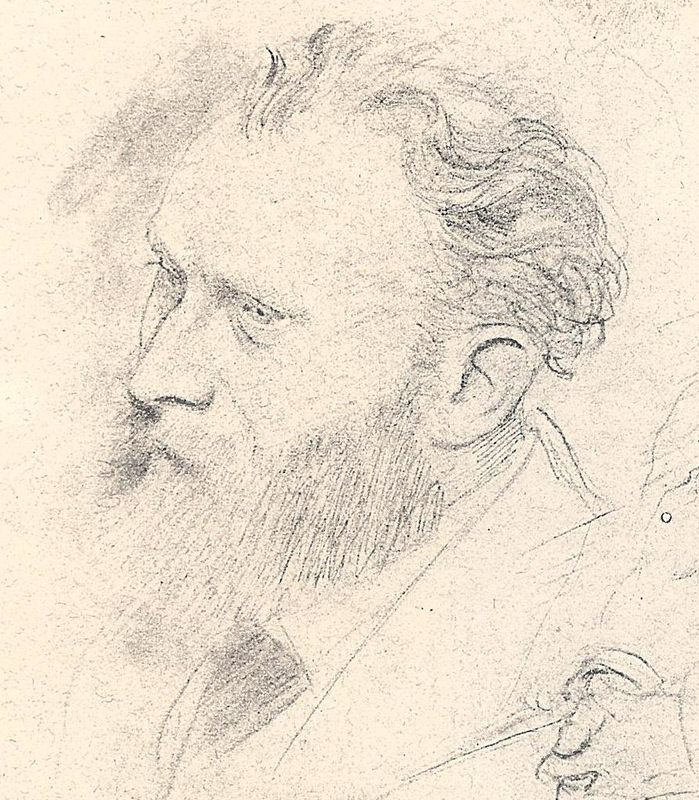 This bust-length portrait of Manet by Degas is rarely discussed but there is something strange about it as anyone familiar with Manet's features ought to recognize. 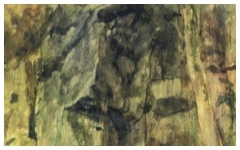 Manet may not have had a strikingly hooked or Roman nose but it certainly was not convex as it is here. Degas, Manet en Buste (c. 1865) Etching on paper. 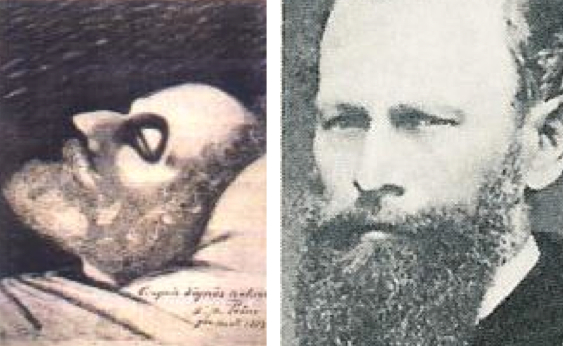 A drawing done on Manet's deathbed demonstrates that Manet's nose curved the other way though, given our distrust of art as documentary evidence, it should perhaps not be used for comparison. 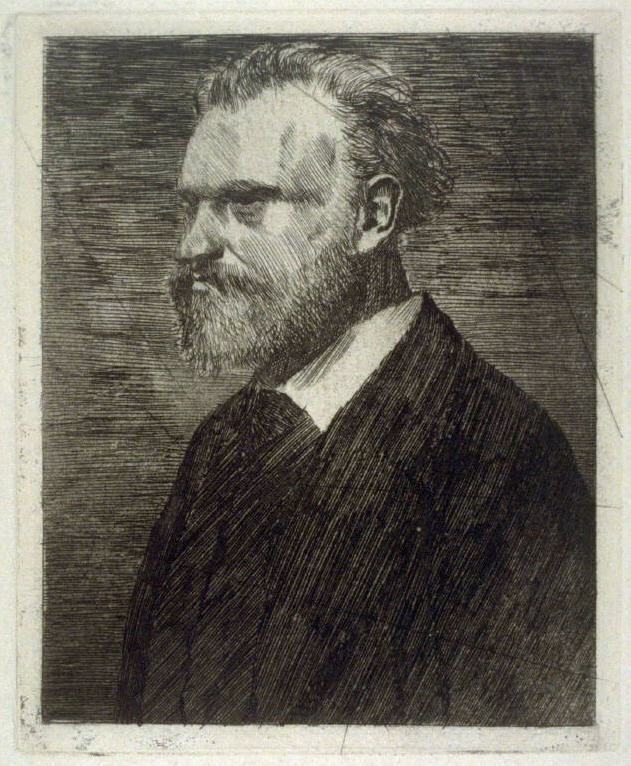 Nevertheless, a photograph also demonstrates that the line of Manet's nose was not convex. 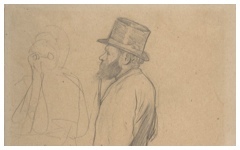 Even a drawing by Degas himself reveals a nose quite different to the one in his own etching. Why would he change the shape of Manet's nose? The answer should be obvious to regular users of this site familiar with Degas' self-portraits: his own nose was a ski-slope. 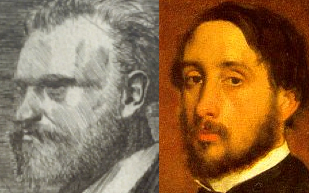 Although there is no obvious resemblance between Degas' self-portrait at left and his portrait of Manet, they still share a type of nose that was not Manet's but Degas'. Manet then, we must assume, has been turned into an alter ego of Degas. We have already shown how Manet identified with Raphael, Titian and Courbet in three separate works; here Degas does the same with Manet. The theme of one great master identifying with another is as old as the Renaissance, perhaps older. Keep an eye out for it. Original Publication Date on EPPH: 30 Dec 2010. © Simon Abrahams. Articles on this site are the copyright of Simon Abrahams. To use copyrighted material in print or other media for purposes beyond 'fair use', you must obtain permission from the copyright owner. Websites may link to this page without permission (please do) but may not reproduce the material on their own site without crediting Simon Abrahams and EPPH.